Tannus has been submitting its “airless” solid tyres for testing by TUV Rheinland and its 700x23c Aither 1.1 solid road tyre has just won TUV’s seal of approval – the only bike tyre in the world with this honour. TUV Rheinland is a prestigious 150-year old German organisation that provides independent safety testing across a whole range of products. TUV subjected the Aither 1.1 against international standards set out by ISO. As part of its tests, TUV ensured that the Tannus tyres at least matched the performance of comparable pneumatic tyres. 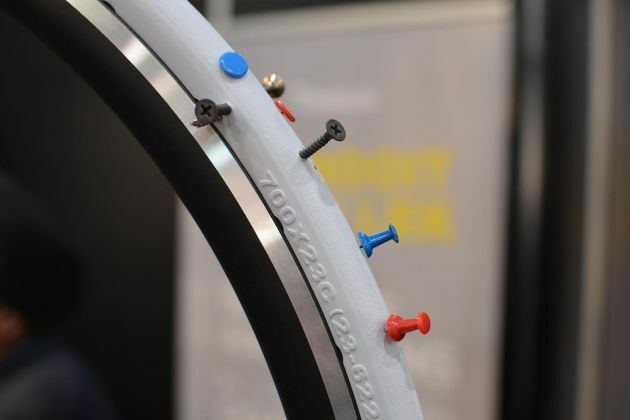 A Tannus solid tyre – forget tyre pressure and punctures. TUV included tests of braking distance, side slip in wet and greasy conditions, effects of high and low temperature and tests to ensure that the tyres could cope with the heaviest of riders.TUV also tested to ensure that a wide range of users could correctly install the tyres and that once on they stayed there.“We wanted to pass the TUV safety test so that customers can be confident that the product they are buying is safe and robust. The TUV certificate has now proven that independently. “The question we are most commonly asked is ‘how do they grip in the wet?’ By having this TUV approval customers can be confident the tyres are just as good as the pneumatic counterpart. To have our work peer-reviewed is very satisfying,” said Jazz Walia, Tannus European Sales Director. The advantages of solid tyres are obvious, particularly at this time of year. Tannus’s Aither tyres are made of an ultra-light plastic, similar to that used in training shoes. 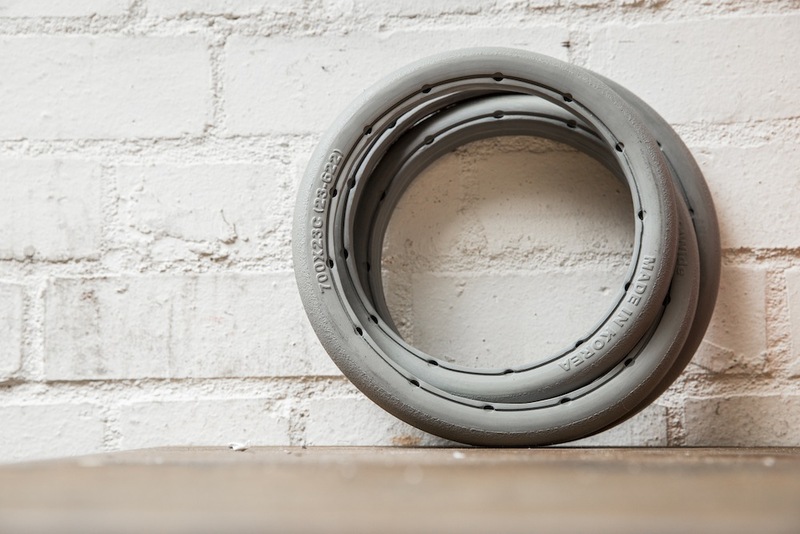 Tannus quotes a weight of 380g per tyre, which is competitive with a conventional tyre-tube combination. You save more weight by not having to carry a spare tube, pump, tyre levers etc.We’ve tested Tannus’s 700c airless tyres in the past and reckon that they work fine for training rides of a few hours. We’ve also tested them around town on a Brompton. ← Know Your Tannus Tires!